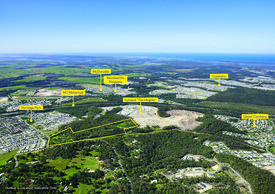 This could be Gold Coast's next distribution centre or a much larger man cave site with 9,647m2* of land let's take a look. A Pending DA is expected to be approved in the coming weeks, MCU from medium residential to commercial mixed-use use fringe business low impact industry use. The proposed development site caters for a range of potential uses which may suit residential or commercial developments. With a possible subdivision (STCA) this site has great potential in both commercial or residential. Situated directly off the M1, Approximately 40* min from Brisbane, 25* min from Burleigh Heads and 20* min to Southport CBD it's in a great position for future business growth in this expanding corridor in Queensland. The typography is essentially flat with 3 building that reside on the 9647m2 an existing luxury home with resort style pool with fully functioning granny flat, along with a massive workshop/shed. The great thing about this site is it is tucked away giving plenty of privacy, but also providing ease of access around the site. The M1 off ramps to Siganto Drive is a massive plus with the North and South entry points to Siganto Drive being the Oxenford/Hope Island exit and North Helensvale/Movie World M1 exit/access ramps allows for an effortless flow for vehicles. 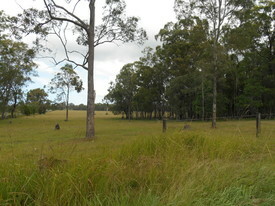 The proposed DA maximises the shape and size of this site. Ask for an IM for the full plans and turn this development site into a winning investment.